Students at Allen Park Middle School are planning a protest stemming from an internal investigation of the principal who is now on paid administrative leave. The protest is meant to support Principal Mark Lowe, who was placed on paid administrative leave Thursday. Lowe took a voluntary leave of absence for the duration of an internal investigation. 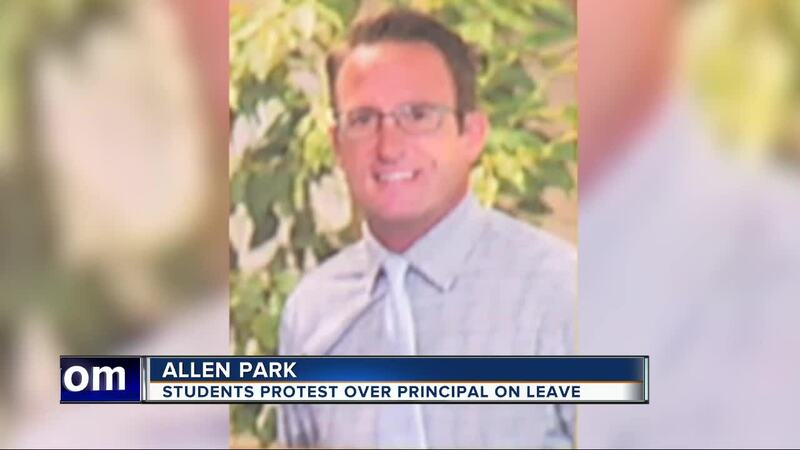 ALLEN PARK, Mich. (WXYZ) — Students at Allen Park Middle School are planning a protest stemming from an internal investigation of the principal who is now on paid administrative leave. The protest is meant to support Principal Mark Lowe, who was placed on paid administrative leave Thursday. Lowe took a voluntary leave of absence for the duration of an internal investigation. The school sent a letter to parents stating it is aware of a planned protest at 7:15 a.m. Monday morning. According to the letter, there was another protest at school last Friday during the last ten minutes of the day, which became disruptive. "What was to be a peaceful demonstration, leaving classrooms and sitting in the hallway, turned into a chaotic event of chanting and screaming," the letter said. "While students have the right to assemble peacefully, there is an appropriate time and place for the expression of opinions and beliefs." The school will not permit the protest to interfere with operations of the school day.